Welcome to Mundy’s Asia Galleries! 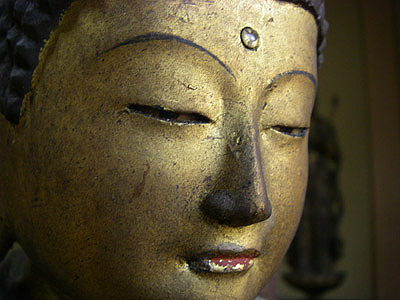 The finest collection of Buddhist artifacts and Japanese antiques. We guarantee the period of our pieces and will work with you to make sure you have all the information you need to make the right choice. Our gallery is located in Boston’s South End Neighborhood at the corner of E.Berkeley St. and Harrison Ave. We are open Year round,( Wed -Sun 11am-6pm) TEL 857 753 4772. Our warehouse is located at 420 Stockbridge Rd, (RTE 7), Great Barrington Ma.Open June-Sept Tel 413 528 4619, ( OR by appointment 518 821 2042) Our warehouse in Kyoto is located 15 minutes from downtown in the village of Yase. (Open Sept 15th-May 28th, call for appointment when in Kyoto, Tel. 81 090 3848 8934) Our web site contains many exceptional pieces and is a fine alternative if you can’t make the trip to Boston, Great Barrington or Kyoto. For over 30 years Mundy’s Asia Galleries has provided authentic Buddhist Artifacts and other Asian antiques to museums, Antique shops and collecters around the globe. Please enjoy our site. ASAHI WEEKLY: TOKYO, JAPAN SUNDAY, NOVEMBER 25, 2007 By Matthias Ley.